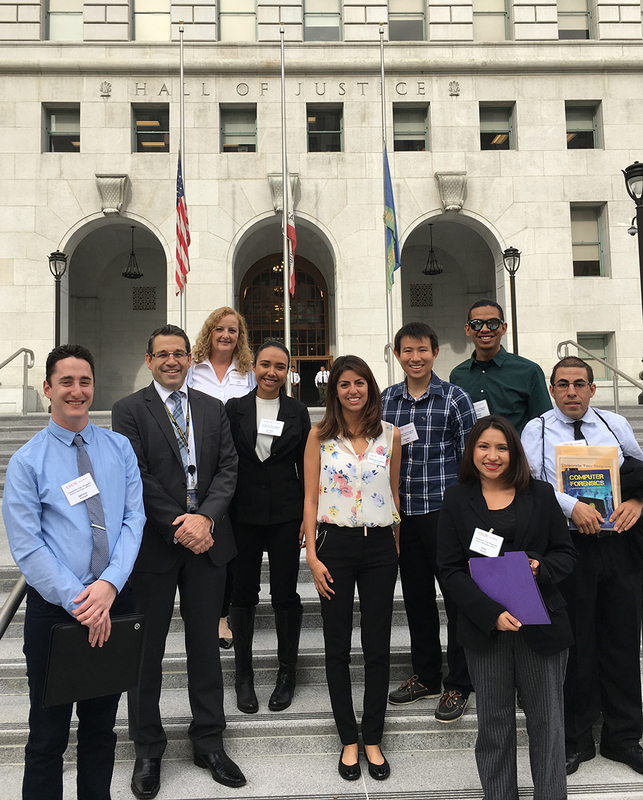 CSUN alumnus Marc Beaart, second front left, poses with CSUN students and recent CSUN alumni, in front of the Hall of Justice in Downtown L.A. Beaart, the assistant head deputy district attorney for the Cyber Crime Division of the County of Los Angeles District Attorney's Office, hosted Matadors for the Corporate Job Shadow Program. On paper, a statement like that would seem like hyperbole. But when Jocelyn Gonzalez, a senior psychology major at California State University, Northridge, went on the CSUN Alumni Association’s Corporate Job Shadow Program on Oct. 27, that’s exactly how she described it. 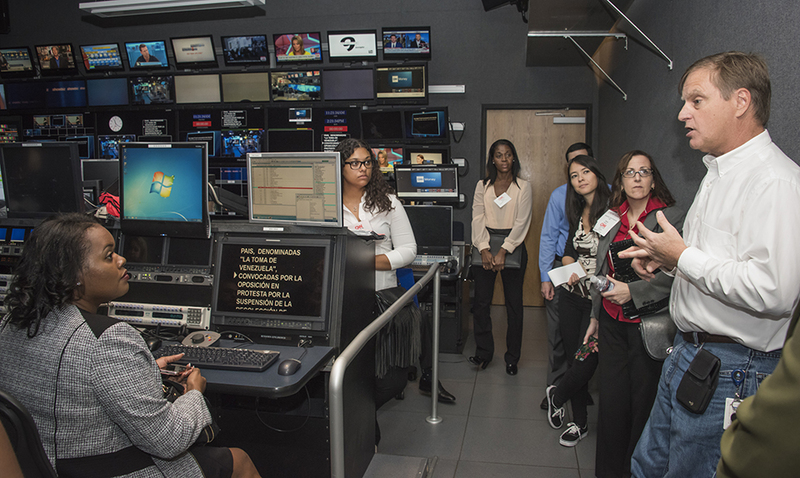 As part of the pilot Job Shadow program, CSUN alumni in high-ranking jobs from various, unique industries hosted students and took them on a tour of their workplaces. Gonzalez, whose aspiration is to use her psychology degree in the marketing field, went with other students and recent CSUN alumni to the Hall of Justice in downtown Los Angeles where they were hosted by CSUN alumnus Marc Beaart ’89 (Political Science), the assistant head deputy district attorney for the DA office’s Cyber Crime Division. The Cyber Crime Division investigates and prosecutes crimes such as identity theft, account takeover, business email compromise and child exploitation among others. Though law enforcement and cyber crime are considerably distant from her desired career path, Beaart’s enthusiastic presentation and the knowledge that a fellow Matador has risen to such a height inspired her to say the tour was life-changing. And it was a diverse group of alumni and professionals that Matadors visited on this pilot program. 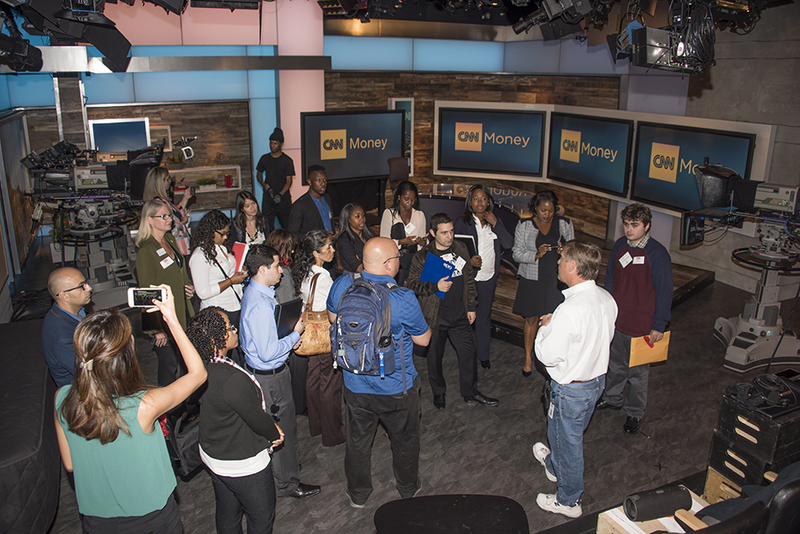 Between Oct. 25 and 27, students were bused around the Los Angeles area to Marvin Engineering, La Kretz Innovation Center, R6S digital marketing, CNN, Wells Fargo corporate, Innovate MR market research and the L.A. County District Attorney’s Office Cyber Crime Division. Each company had at least one CSUN alum on its leadership team — including two CEOs, two vice presidents and a CFO. They welcomed their fellow Matadors and gave them a tour, speaking to them about their career paths. Beaart, for example, greeted his group at the steps of the Hall of Justice and then took them into Cyber Crime Unit Command Center and its Forensic Computer Lab. At each stop, he had experts from those areas speak to students — an added bonus that happened at other tours as well. After treating his group to lunch, Beaart showed them a presentation of the extent of crime the district attorney’s office encounters and had another guest speaker talk to the Matadors about credit card fraud. He then explained how he rose to his current job. After CSUN, Beaart continued his studies at Whittier Law School. He interned for the Los Angeles County Public Defender’s Office in Inglewood, which nurtured his passion for the courtroom. He became a criminal defense attorney and later transferred to the district attorney’s office as a prosecutor. Beaart credited CSUN for his ability to become a successful prosecutor, saying that because the university was so diverse he was able to identify with people with different backgrounds and challenges. Beaart reached out to the Alumni Association after hearing about the Corporate Job Shadow Program in the CSUN Weekly e-newsletter and volunteered to host students. And it resonated. Political Science student Spencer Frankel works in IT off campus. He eagerly asked questions during the tour. He also came into it with a strong knowledge of the work the cyber crime investigators do. CSUN alumni who led other tours gave out their cell phone numbers and discussed internship opportunities with students; on one tour a CEO unwound with Matadors at the end of his event by playing video games with them. If you are a CSUN alumni interested hosting a Corporate Job Shadow Program event in the fall, contact Edwards at mirta.edwards@csun.edu or call (818) 677-CSUN.